Previously an old Blacksmiths Forge the Auld Smiddy has gone through a major refurbishment. Although it retains the shell of an old 1900’s building on the outside but on the inside you will be amazed at the fresh contemporary design. Open from 11am we serve top quality teas (both organic and flavoured), a full range of specialty coffees. 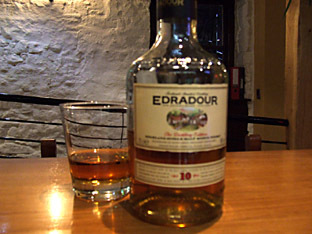 We have a full bar license, serving whiskies and local real ales fro Inveralmond Brewery in Perth. fresh breads and a full range of fillings, to beautiful fresh Scottish Haddock fried in a beer batter and Fresh Scottish Steamed Mussels and seafood (when in season). 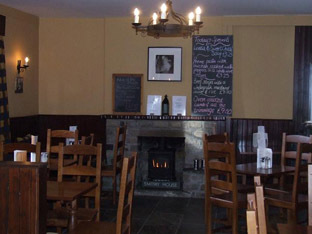 By mid-afternoon you can sit by the fire or weather permitting sit out in the garden watching Pitlochry roll by with a pint of Real Ale (changes with each new cask) or a glass of perfectly chilled Pinot or Merlot, but whatever the weather outside you will be assured of the warm welcome inside; that we are renowned for. 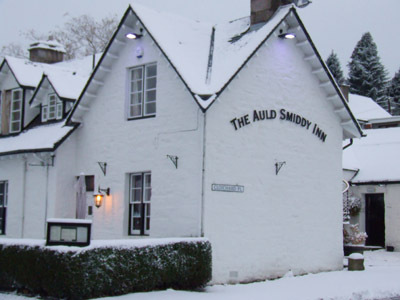 So, whatever the season, we look forward to welcoming you to the Auld Smiddy Inn. We are wheelchair friendly, with access to all eating areas and outside space as well as a very spacious disabled toilet.